Preview is better than Acrobat for my PDF needs (specifically annotations). Pixelmator handles my current image editing needs just fine. I never found CS4 lacking in features, and Pixelmator has all the features I used, and they’re at least good enough that I can’t tell the difference in quality. 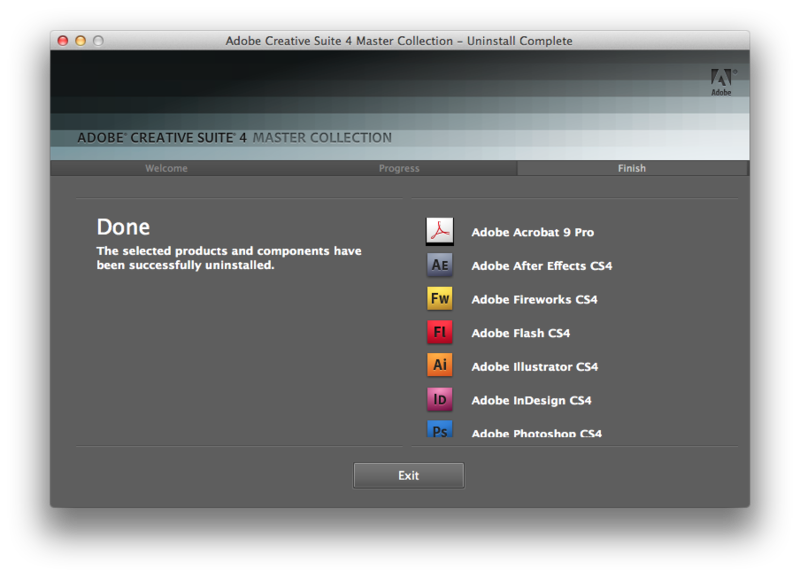 Both open faster and have a smaller memory footprint than the Adobe equivalents. You’ll notice a few of these suggestions either aren’t practical, or conflict with other suggestions. You’ll also notice the supporting documentation is for fixing errors with Google News listings. We have noticed that adhering to these when possible produces good results, so that’s why I’m calling attention to them. Use images that have reasonable aspect ratios. Ensure that your images are inline. Ensure that your clickable images link to a URL with a .jpg or .jpeg extension. Place your images near their respective article titles. Label your images with well-written captions. To give users a preview of an article before clicking on it, Google News displays its first few sentences on our homepage and in search results. To determine which text to include, our crawler looks at each article’s code for body text near the headline of that article. We also recommend clearly differentiating the text that makes up your articles’ author bylines and date information from the text of your articles’ first sentences. Ideally, we will only show the first few sentences of your articles under their headlines in Google News. Place a clear date and time for each of your articles in between the article’s title and the article’s text in a separate line of HTML. This should help our crawler correctly identify the publication date for your article. Make sure to provide us with the date when the article first appeared on your site. Just putting it here for reference. This is one of the ways I diagnose performance issues within WordPress, specifically “hey this site is slow, what can we do to speed it up?” Whereas a callgrind file gives you a look into the whole callstack of your script, the point of this is to profile actions and filters in WordPress. It does require that you make some changes to core files. This is not meant to be something that you use in production, nor is it meant to be something you run all the time. This is for “spring cleaning” your site, and/or tracking down general slowness. The code between “// @custom start” and “// @custom end” is what you will be adding. I am not including line numbers because they change frequently with the version of WordPress. “But wait”, you say, “Just add the profiling to the ‘all’ filter and you don’t have to do all this.” That’s probably fine for most cases. This method measures actions and filters that execute before plugins are loaded. Additionally, there’s always the chance of a priority conflict even if you put priority 0, because if there are multiple items at the same priority level they just get appended to the list, so your profiling hook may execute after another action/filter. Put this at the top of index.php, before any other code. In this file, look for the functions below and add the lines between “@custom start” and “@custom end”. Basically, they go at the top of all the functions where filters are applied and actions are called. Here is the code that outputs the results. This goes anywhere after the wp_footer() function, but it’s easiest just to put it before the closing </html> tag. Find yourself constantly battling browser cache when developing a script in WordPress? I love the concept of InAppSettingsKit. While it’s possible to make your own settings view and hook up all your own buttons, I like the simplicity of installing a “plugin” — just copy over the files, hook it up to a view, and be done with it. 1) Created my Settings.bundle, including NSUserDefaultsDidChangeNotification observers as described in the Apple Settings bundle documentation. The AppPrefs sample app helped here (specifically with the observers). 2) Copied the InAppSettingsKit directories (not the sample app) into my project. MessageUI was the only one I needed to add. Project > Targets > MyApp > Build Phases > Link Binary With Libraries and click the + icon to add any that are missing. The nature of the error message was completely alien to me, but — again — thank you, Internet. 4) In Storyboard editor, I added a new Navigation Controller and Table View Controller. 4a) I deleted the view controller that came along for the ride when I dragged the new navigation controller to my storyboard. 4b) I linked the navigation controller to my tab bar controller, then linked the navigation controller to the table view controller (control+click and drag). 4c) I selected the Table View in the table view controller and changed the Style of the prototype content to “Grouped”. 4d) I changed the controller class to IASKAppSettingsViewController. Et voila, it compiled and worked. With this method I didn’t need to add any custom controllers or views; just the InAppSettingsKit files and linked a new table view to the main IASK controller. Also worth noting: since I’m using ARC in my project, I opted for an ARC-compatible fork of InAppSettingsKit. See the ticket on Github. I used tibr’s fork.